Kriti Sanon last delivered a sleeper hit Bareily Ki Barfi enthralled her audience with some of her chartbuster songs at the closing ceremony of the Indian Premier League over the weekend. Kriti Sanon marked her successful four years in Bollywood last week just in time for her IPL finale performance. Kriti Sanon performed on chartbuster songs from her films she gave in the past four years. Delhi girl Kriti Sanon shot to fame with her debut in 2014 with Heropanti, the actress delivered foot tapping numbers with her very first appearance. Over the years, Kriti has left the masses captivated with a number of chartbuster songs. The event that was telecasted over the weekend witnessed all the fans of Kriti Sanon swaying to her tunes on her hit numbers. The performance will mark Kriti Sanon’s second time association with Indian Premier League as she had previously performed for the opening ceremony last year. 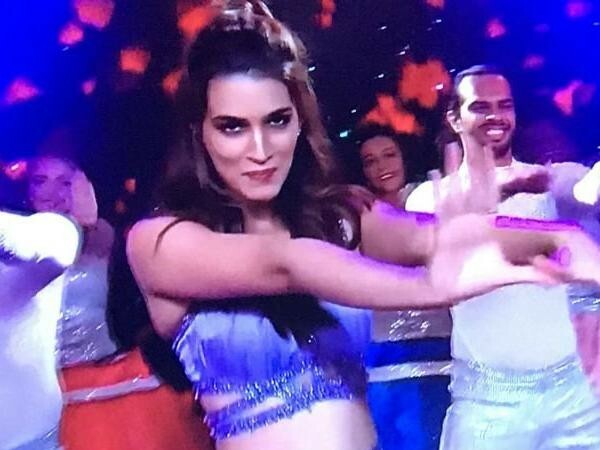 Kriti Sanon danced on her hit songs like Mere Naal tu Whistle Baja and Raabta for the closing ceremony. On the work front, Kriti Sanon is currently prepping for her upcoming period drama Panipat, post which the actress will hit the sets of Sajid Nadiadwala's Housefull 4.